Quiz: Do You Have TMJ Disorder? 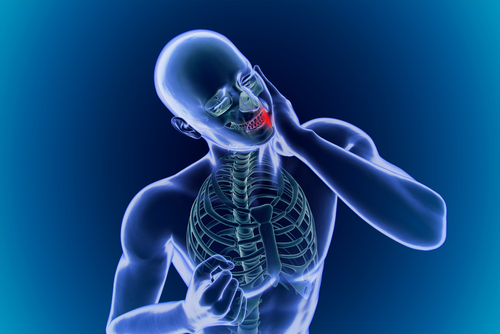 Have you ever experienced unexplained jaw pain or a jaw that pops or clicks? If so, these may be warning signs of TMJ disorder, or TMD. This serious dental health issue affects millions in the United States. At Lake Country Orthodontics, we can diagnose and offer treatment for patients suffering from jaw strain. 1. True or False: Multiple factors can lead to TMD. 2. True or False: Patients with this disorder experience multiple symptoms. 3. True or False: Without treatment, TMD can have serious consequences. 4. True or False: Dr. Cabal offers treatment for patients with jaw strain. 1. True. This issue occurs when the temporomandibular joints become strained. These joints connect your jaw to your skull, allowing you to eat and speak. When one of the joints endures inordinate amounts of stress, TMJ disorder can develop. Stress, malocclusion, bruxism (teeth grinding), and trauma to the face or jaws are all potential causes of this disorder. 2. True. Patients may notice popping or clicking in the jaw, as well as chronic headaches and jaw pain. Earaches, tinnitus, neck pain, shoulder aches, and toothaches may also be signs of TMJ issues. If one or more of these symptoms sounds familiar, please schedule an appointment for a diagnosis. 3. True. Eventually, opening and closing your mouth can become difficult and painful. In addition, patients who grind their teeth may experience chipped or cracked teeth, worn down teeth, and an increased risk of tooth decay and infection. 4. True. To ease strain on the jaw, we can provide oral splint therapy. Similar in appearance to a mouth guard, but much more complex, these devices reposition the jaws to ease tension. Oral splint therapy can also reduce teeth grinding, helping to preserve the health and appearance of your smile.